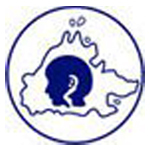 Sabah Society for the Deaf, a non-profit and voluntary arganization established in 1975 with the aim to promote education employment general welfare of the deaf community and prevention of deafness in Sabah. Being a non-profit organization (NGO), we depend very much on the contribution from the corporate sectors and members of the public to carry out various activities particularly in the area of education. The programme that Sabah Society for the Deaf run are as follows:- Education Centre: *Pre-school & kindergart for the deaf ages 2-7yrs *Deaf children with multiple disabilities ages 2 and above * Intergrated programme for hearing siblings ages 2-4 yrs * Language development & vocational programme for illiterate deaf children ages 8 and above * sign language programme for parents and family members * sign language course for the public * family support group * Deaf kids club, deaf youth and deaf teen development programme * Awareness on health, personal safety, etc * handicraft and vocational activities * Sports * indoor and outdoor recreations activities...Other programme and services: *deaf awareness programme * fund-raising project * outreach programme * welfare assistance * job placement for the deaf * interpueti services for the deaf...The emphasis is on education as this is the key to success for a better future. As such, the education centre aims to: * educate deaf and hard of hearing children, their family members including parents and siblings as well as children of deaf adults (CODA) in other to prepare them for the community * Be there premier education and communication centre for families with deaf and hard of hearing children in the state of Sabah. * Provide a rich and stimulating environment where children can develop to their full potencial.